Sydney author Kate Wild speaks to Robyn Walton, Vice-President of Sisters in Crime, about her true crime book, Waiting for Elijah (Scribe, 2018). 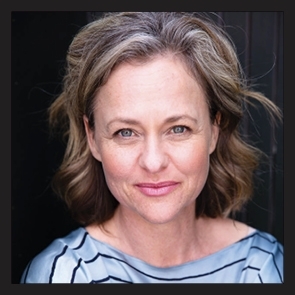 Kate will be speaking to Sisters in Crime on Friday 19 October, 8pm at South Melbourne’s Rising Sun Hotel. Book here. Hello, Kate, and congratulations on your book, the product of an exceptionally detailed six-year investigation of a police shooting and its aftermath. Is there anything you’d like to say up front before we talk about the creation of your book? Just thank you for having me! 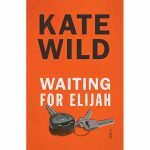 It’s great there is a community around women’s crime writing in Australia, although I’ve only recently learned to think of Waiting for Elijah as a true crime book. In 2009, when 24-year-old Elijah Holcombe was shot by NSW police, you were a researcher for ABC television’s Four Corners investigative program. Questions arose: was this death the latest in a series in which police had killed people with mental illnesses? And was it the case that mentally ill people were demonstrably dangerous, or were police making that assumption and using force without good reason? This was the start of your investigation? Yes, these were the questions the reporter I was working with, Quentin McDermott, began with, and that we tried to answer in our Four Corners program by looking at four different fatal police interactions with mentally ill people around Australia. It quickly became apparent that Elijah’s case did fit into this framework and that the questions Quentin had were very relevant to his shooting. Additionally, you researched three other killings by police: Roni Levi, shot on Bondi Beach (NSW), Tyler Cassidy, shot in a Northcote (VIC) skate-park, and Tony Galeano, repeatedly tasered in Townsville (QLD). Before the story was broadcast, you sought responses from police but could not get any. Is such reticence understandable? Such reticence is understandable, and it comes from a number of places. Police are not able to comment on cases where a death is still being investigated, and in three of the four cases (excluding Roni Levi’s) Four Corners was examining, the coroner had not yet examined the cause and circumstances of the deaths we were looking at. For police to comment before a coroner’s findings had been delivered would have broken all sorts of protocol. Police are also used to being judged very harshly by the public and media, and they’re reluctant, as many of us would be, to offer themselves up to be criticised. The reticence that I didn’t understand when I approached police for Four Corners was that no one was prepared to speak about what it was like to face a mentally ill person who was dangerous or threatening, and to have to make a decision about using fatal force on that person. You tell readers that soon after the program went to air you gave birth to your first child, began 12 months’ maternity leave, and moved from Sydney to Darwin with your husband. However, Elijah’s story maintained a hold on you. Why was that? Elijah’s story came into my orbit at a very crucial point in my life. I was becoming a parent while watching Elijah’s parents lose a child; I was thinking a lot about my childhood and what sort of a parent I wanted to be for my child, and I was struck at every step by how similar Elijah’s early life and mine had been. Our families were similar on so many levels. There was a lot in Elijah’s life that echoed my own experiences but as a family the Holcombes responded in a completely different way to challenges my family had also faced. I knew instinctively there was something I needed to learn from Elijah’s story. Jeremy, Elijah’s father, told you that Elijah had been living with delusional paranoia and was terrified of police. After Elijah “went missing”, his parents warned police not to approach him. They were assured “police can handle it”. But within a day Elijah was shot dead. At that stage did you speculate about deficiencies in police communications and/or training? Two explanations came to mind when I first learned that Jeremy had warned police about Elijah’s illness and his fear of the police. One was that police had failed to follow the Holcombes’ advice when they dealt with Elijah. The other was that Elijah had been violent towards someone. The police investigation for the coroner verified Jeremy’s belief that there was a failure in communication between officers involved with Elijah on the last day of his life. Perhaps an even greater failure was that police did not contact Elijah’s mother when Elijah walked into the police station in Armidale. If that request had been followed through, the chances are that Elijah would be alive. Jeremy said to me more than once, “There were lots of things that let Elijah down, not just one thing”. There were eye witnesses when Elijah was shot on a weekday afternoon in the northern NSW city of Armidale. Their accounts of what they saw and heard varied. How difficult was that? I think the vast differences in eyewitness accounts was difficult for everyone, although not that unusual, I have since learned. People who saw Elijah and Senior Constable Andrew Rich’s confrontation said everything from “Elijah was silent and stationary when he was shot”, to “Elijah ran at the officer and shouted ‘Shoot me, shoot me’.”. Adding to the frustration was the fact that CCTV cameras in the laneway captured all but the last 80 seconds of the two men’s interaction – the crucial moment in which Rich made the decision to shoot. A lot was going on in late 2010. Coroner Mary Jerram found the shooting of Elijah may have been a criminal act and she referred the matter to the DPP. You had your own mental health concerns. And Elijah’s mother, Tracey, had contracted terminal cancer. Yet, at New Year 2011, you listened when colleagues encouraged you to write a book? Elijah’s story had stayed with me so strongly, and despite having moved to the other end of the country, I was still speaking to the Holcombes, I was still in touch with what was going on. I was in the midst of an episode of depression and desperately needed a focus to help me out of that. The timing of my friends’ encouragement to write a book was all it took. Finding out why Andrew Rich felt he needed to shoot Elijah that day was the only story I wanted to tell. In 2012 the DPP determined not to commence criminal proceedings against the Senior Constable who shot Elijah. In 2013 the suspended inquest resumed. You describe proceedings and related developments in detail, sharing your frustration at how hard the police fought to save the Senior Constable from being forced to give evidence. “We laughed at the craziness of it all.” How do you see that time in retrospect? In retrospect, as a struggle between institutional powers and individual human beings. Andrew Rich was, in my view, the individual who suffered most in that battle. I say that because I believe that he wanted to speak and give his evidence and he deserved to be allowed to tell his story. The Holcombes wanted and needed Andrew to speak; so did the Coroner. But certain factions or powers within the police union or police force – I don’t know which – were more intent on protecting an institution than the emotional and psychological health of the people at the heart of the event, Andrew and the Holcombes. I now see that time, more than any other part of the process, as the period that destroyed Andrew’s well-being, and in turn denied the Holcombes answers they deserved to have. By 2017 you were back living in Sydney and you were still investigating Elijah’s case. What was happening then? In 2017 the NSW Police Mental Health Intervention Team, which teaches officers how to deal with people who are mentally ill and in crisis, allowed me to sit in on one of their training courses. I was able to see how police are now trained to deal with situations like the one Andrew and Elijah found themselves in Armidale in 2009. I realised how much we expect of police when we ask them to deal with these situations on our behalf, and I realised how childish the assumption was that police are prepared for any situation simply because that’s what we expect of them. Overall, much of your narrative is about waiting, with quite a few individuals waiting and hoping, over long periods of time, for various outcomes. Your title references the ancient prediction that the prophet Elijah will return to earth as a harbinger of the coming of the Messiah. Rationally speaking, no one could expect Elijah Holcombe to return. Yet waiting matters. Could you elaborate on this? Waiting is a sign of faith. Faith in the justice system, faith in the humanity and compassion of other people, faith that goodness, given time, will overcome darkness. The compassion the Holcombes showed to the officer who shot Elijah was real, as was their faith in Elijah’s good nature. I saw their willingness to wait for answers as a sign of great strength and faith. Faith in Andrew, and faith in the value of forgiveness. I struggled terribly with the waiting. I wanted to be able to find an end to the story, so I could end the pain I was in as a witness to the story. I learned a valuable lesson. Forgiveness is a second important theme. Some individuals made great efforts to be forgiving and magnanimous. Did you learn anything from this? I learned that there is no faking forgiveness. If it isn’t real, it will fall away with time. I also learned that forgiveness is something that people do over and over again. I watched the Holcombes forgive Andrew Rich repeatedly in five years of court proceedings. I also observed how difficult it is to accept forgiveness because accepting forgiveness requires a type of surrender that some people feel they cannot survive. Yours is a book with so many aspects to it. What else would you like us to note? Our fear of mental illness includes a fear of not knowing what to do – the fear of not knowing how to help is part of the stigma that stops us from reaching out. Sometimes we don’t reach out because we don’t feel equipped to help and we’re embarrassed or we don’t want to make things worse. But making simple human contact with a person who is frightened is a wonderful act of compassion and humanity, even when it feels frightening. We all have within us fear and fragility, but we have courage and strength as well. The hardest part is showing ourselves. If we can be brave enough to do that, there will always be someone waiting to see us.